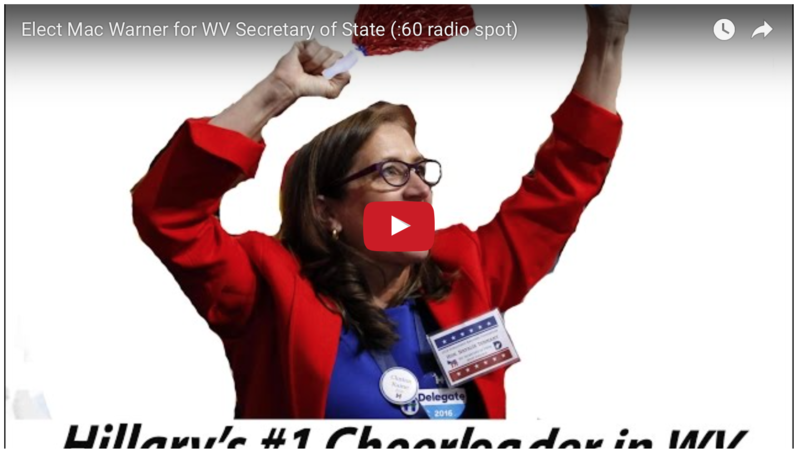 Kearneysville, WV — Revive America PAC has launched a statewide radio ad campaign to elect Mac Warner for West Virginia Secretary of State. “Job-killing Hillary Clinton lost every single West Virginia county. But that didn’t stop Secretary of State Natalie Tennant from voting for Clinton, against the wishes of West Virginians everywhere. Adams, who resides in Kearneysville, West Virginia, founded Revive America PAC in 2012 as a ‘grassroots Super PAC’. The PAC supports only conservative candidates and causes. It is funded by thousands of individual donors nationwide, including West Virginians. While Adams is no stranger to West Virginia politics, his campaign to elect Mac Warner is Revive America PAC’s first independent expenditure effort in West Virginia. Mac Warner, a conservative Republican from Morgantown, is challenging Democrat incumbent Secretary of State Natalie Tennant. Warner is a West Point graduate, who has dedicated his career to fair elections and adherence to the law. In Afghanistan, he was in charge of the largest section of the largest Rule of Law program in the world, managing an office of over 100 international lawyers, subject matter experts, and translators. As West Virginia’s next Secretary of State, Mac will insure fair elections and promote private sector job growth in West Virginia. Under West Virginia law, Mac Warner’s official campaign can only accept donations from individuals, limited to $1000 per election. However, Revive America PAC, an independent federal super PAC, can accept unlimited contributions from individuals and their businesses. Contributions to Revive America PAC are not deductible as charitable contributions for federal income tax purposes. *Federal law requires us to use best efforts to collect andreport the name, address, occupation and employer of each individual whose aggregate contributions exceed $200 in a calendar year.